Posted on November 15, 2013 by Warin	in Andrea Lewis, Black Actress, Canada, Degrassi, Issa Rae, web series. If we learned anything so far this year, it’s that the rise of the web series is here to stay. I catch a few webisodes every now and then and recently came across “Black Actress” last week and enjoyed the debut. 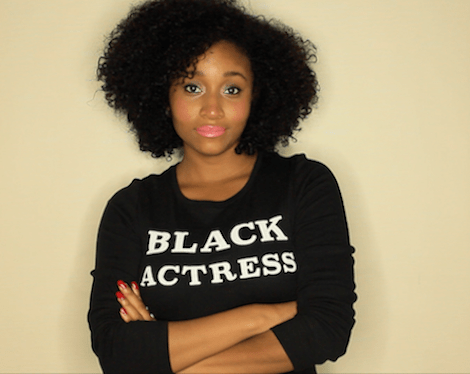 “Black Actress” stars Andrea Lewis as a struggling actress trying to make it in the industry. Andrea has spoken openly about the paucity of opportunities for black actresses within the entertainment industry, and through the first episode we follow her character on an audition. Some of you may recognize Andrea from her time on the hit Canadian show “Degrassi,” where she played ‘Hazel,’ who was the girlfriend of some guy who has since made a name for himself in the rap game. The series has the backing of web star Issa Rae and features appearances from some other well known black actresses like Tatyana Ali and Naturi Naughton. You can check out the first episode below.